A film by Václav Ševčík jr. 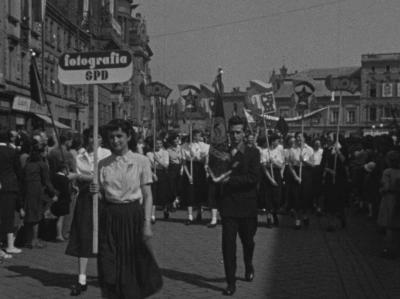 The students of Fotografia, a photography school, are participating in a May Day parade in the town of Prostějov, probably in the beginning of 1950s. This film contains also sequences of school trips to Prague and historical places of former Czechoslovakia. In the Luxembourgish countryside, Mr. Michels films a family walk in 8 mm. 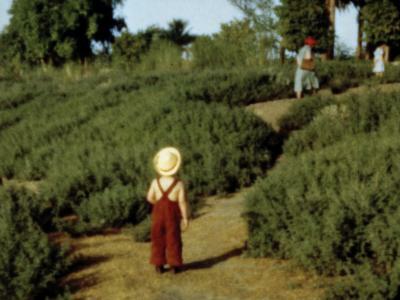 This image is from the film Berel's Berta, eng Geschicht aus der Letzebuerger Hemecht, a 8 mm short film made by a local organisation in Strassen (L'Amicale Strassen). The film recounts the story of a Luxembourg family who lives on a farm. 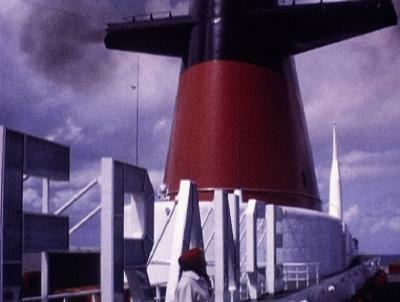 On February 1962, amateur filmmaker Jacques Martin-Pigeon filmed the maiden voyage of the French ocean liner the "France". After leaving Le Havre, the ship arrived five days later in New-York. 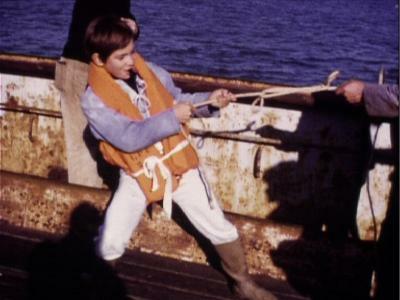 In 1970, amateur filmmaker Daniel Savoye films the making of a French TV serie entitled "Sébastien et la Mary-Morgane" in Fécamp (Normandy). On the boat, the young protagonist Sébastien is played by Medhi El Glaoui. 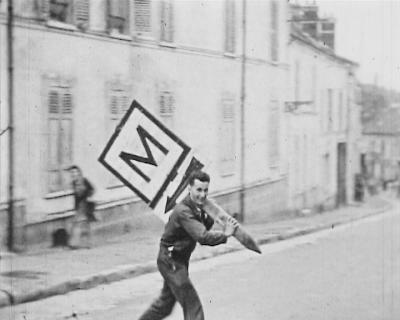 On August 21st 1944, after US army has arrived in Malesherbes (Loiret, France), a French man took possession of a German road sign. This image is from the film "Liberation de Malesherbes" filmed and edited in 9,5 mm by members of the local amateur film club. 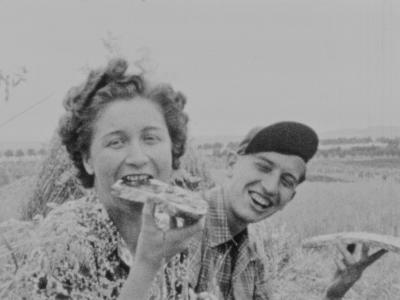 This image is from the 9.5 mm film "Harvest 1957" made by Lucien Borcelle who was a primary school teacher in the village of Manchecourt (Loiret, France). 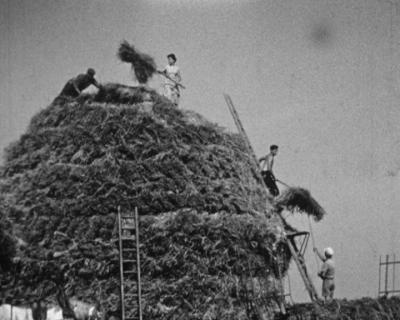 A big stack is constructed in order to preserve sheafs until the threshing. The photographs are the property of their authors.